Photo by Theo Wargo/Getty Images for PanoramaA view of Phife Dawg tribute on the screens as A Tribe Called Quest performs on the Panorama Stage during the 2017 Panorama Music Festival – Day 3 at Randall’s Island on July 29, 2017 in New York City. A Tribe Called Quest announced Sunday that their concert at Panorama Festival would be their last “ever” in New York City. 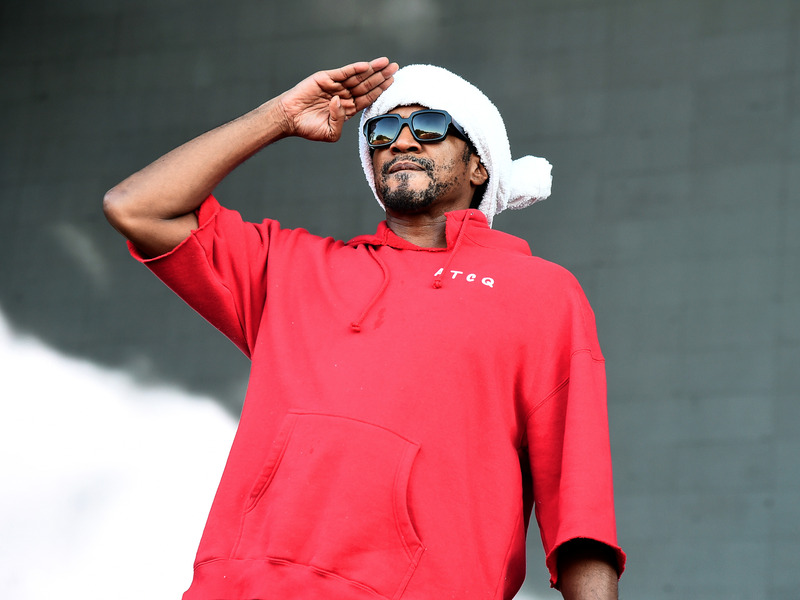 Q-Tip made the announcement to the crowd mid-set, stopping the music, and giving a tribute to late A Tribe Called Quest member Phife Dawg, who died due to complications from diabetes in 2016. Q-Tip announced that Phife Dawg’s parents were in the audience and then led the crowd in a chant thanking Phife Dawg. 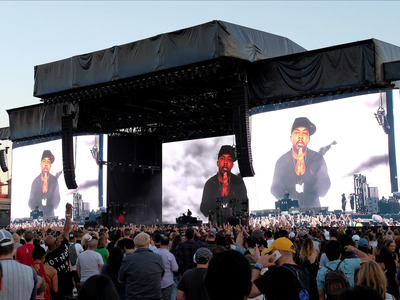 An image of the deceased rapper with his hands in prayer against a backdrop of the sky was shown during the tribute and at numerous times throughout the show. Throughout the set, DJ Ali Shaheed Muhammad let Phife Dawg’s verses and rhymes play, while the video screen focused on an empty microphone placed at the center of the stage. Q-Tip and Tribe member Jairobi White often played off the microphone, trading verses with their absent member. Phife Dawg had health issues for years, Rolling Stone reported last year. He received a kidney transplant in 2008 in his long battle with Type 1 diabetes. Towards the end of the set, Q-Tip thanked the crowd for supporting the group since its inception in the 1980s. Q-Tip and Phife Dawg were childhood friends, who originally performed as solo acts in the early 80s, before forming Tribe with Muhammad and White. Phife Dawg appeared on all of Tribe’s albums, serving as a vocal counterpoint to Q-Tip. Photo by Theo Wargo/Getty Images for Panorama: Q-Tip of A Tribe Called Quest performs on the Panorama Stage during the 2017 Panorama Music Festival. Though the group broke up after 1998’s “The Love Movement,” they have occasionally reunited throughout years. Following the release of 2016’s “We Got It From Here … ” the group announced that they would do one final world tour in 2017. The group, who remain one of the most important acts in hip-hop history, will play at Red Rocks Amphitheatre in Colorado and at Outside Lands Festival in San Francisco next month.